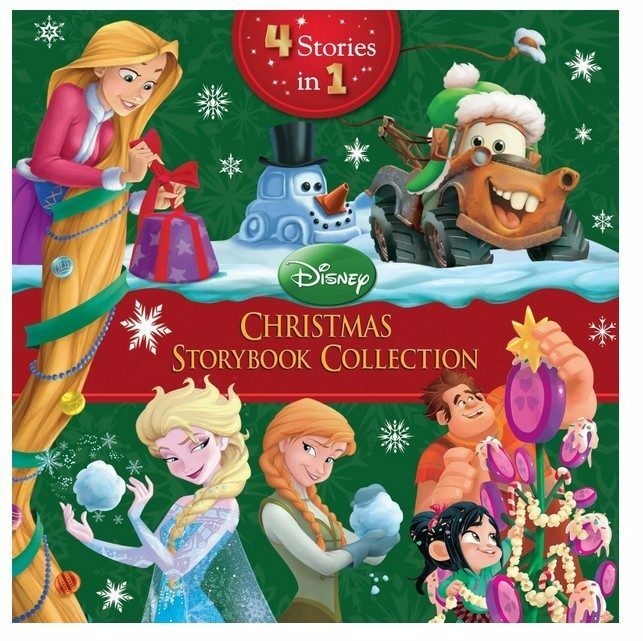 Disney Christmas Storybook Collection - Frozen, Cars & More Only $3.99! You are here: Home / Great Deals / Amazon Deals / Disney Christmas Storybook Collection – Frozen, Cars & More Only $3.99! Disney Christmas Storybook Collection – Frozen, Cars & More Only $3.99! Hurry and snag this awesome Disney Christmas Storybook Collection, which includes Frozen, Cars & More for only $3.99 for your Kindle or other tablet! Don’t have a Kindle? No problem – you can download the FREE Kindle Reading App for your tablets or computer and even your smartphone! Or, you can order the hardcover version for only $15.29 (reg. $17) here! Celebrate the season with your favorite Disney and Disney/Pixar characters! Join Ralph and Vanellope as they throw a Christmas party just for Bad Guys! Follow Elsa as she tries to create the best holiday ever for her sister, Anna. Go sledding with Mater and Lightning McQueen! Hear about how Rapunzel and Flynn spent their first Christmas together.